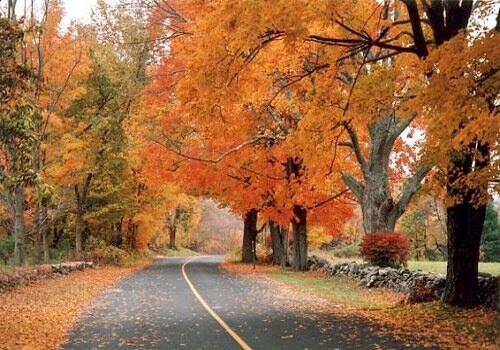 What’s more inspiring than the blazing colors of Fall in New England? For a state that is only 37 miles wide and 48 miles long, it is notable that its shoreline on Narragansett Bay in the Atlantic Ocean runs for nearly 400 miles, lending to Rhode Island’s nickname as the “Ocean State.” Rhode Island has 35 islands within its territorial waters, including Aquidneck Island and Block Island. While you’re visiting Providence, take time to explore the state and some of its beautiful beaches and state parks while the weather is pleasant and the environment is rich with the colors of Autumn. What You’ll See: Stunning views of Narragansett Bay, New England’s largest estuary, and Providence, the capital city. Coves and marshes are also common.